Tornado Global Hydrovacs and Custom Truck One Source (Custom Truck) are bringing big changes to the hydrovac industry with their new partnership. By combining forces, they bring a world-class unit to market and dealership network that has been missing in the industry since the inception of hydro excavation. Typically, when a customer purchases a hydrovac, they are essentially put on an island when it comes to parts and service. It can be a lengthy pro­cess for repair and downtime can be staggeringly long, minimizing production gains, and slicing into hard-earned profits. No manufacturer has cracked the code for a complete service solution for the hydrovac industry, until now! 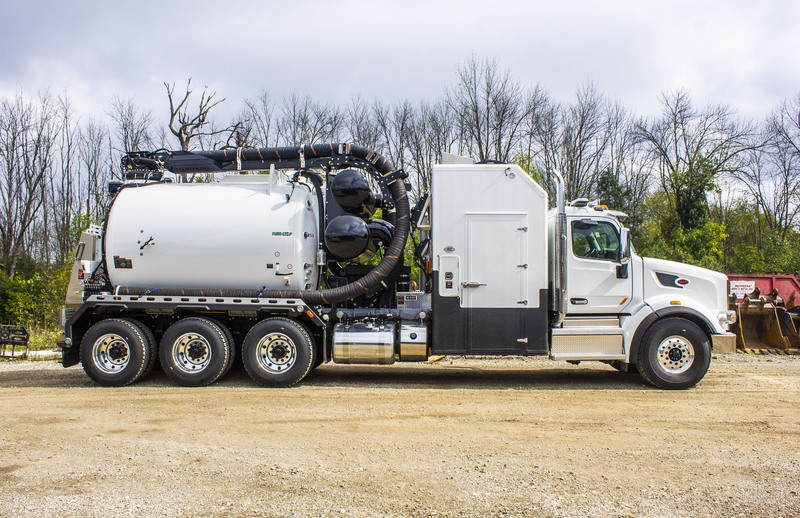 Custom Truck has the geographical foot­print, expertise, and financial backing to bring the sales and parts and service solutions to the United States hydrovac industry. Along with 26 locations across North America, and a service force of 500+ employees which includes a plethora of field service technicians who will come to your site, Custom Truck is also a chassis warranty dealership for Peterbilt trucks. Being from the United States one might ask, who is Tornado Global Hydrovacs? Established in 1984, Tornado is a well-known manufacturer of vacuum trucks in the Canadian Hydrovac Industry. With their ECO LITE series hydro­vacs, Tornado has an operator driven, ready-to-work design that is weight conscious. “We are known for higher production and lower maintenance which gives a customer a higher profit return,” says Rich Konkler. Custom Truck has put together a complete lineup of vacuum products. They have partnered with Tornado Global Hydrovacs, Cusco Fabricators, and Hi-Vac Corporation. “We’re just getting started,” Brouwers said.